1.Level Jack. 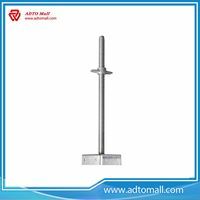 Solid-steel 24" threaded rod welded to base plate at a right angle. Allows for individual adjustment of each leg in a stationary position on relatively level surfaces. 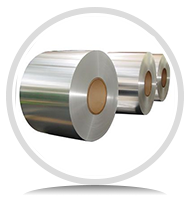 Cold-dip zinc galvanized. 2.Caster Jack. Solid-steel 22" threaded rod welded to a female receiver that accept either our scaffolding caster wheels or our base plates. Allows for individual adjustment of each leg in conjunction with a scaffolding caster wheel allowing your scaffold to roll on uneven surfaces. 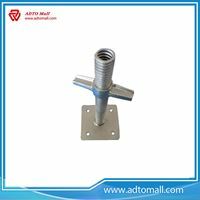 Can additionally be converted to a level jack when used with a base plate in place of the caster wheel. 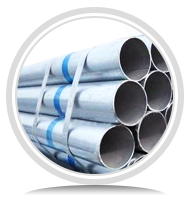 Cold-dip zinc galvanized. 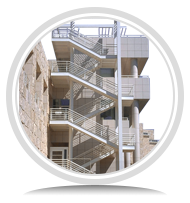 See our video at the bottom of the page for more information on the benefits of scaffolding jacks. 3.Swivel Jacks. Solid-steel 24" threaded rod welded to a huge T. Receiver welded to base plate accept the T on the end of the threaded rod, allowing base plate to swivel. Allows for individual adjustment of each leg and on surfaces with too high a degree of incline for a level jack. 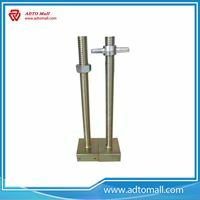 Scaffolding Screw Jack is a starting base for a scaffold. 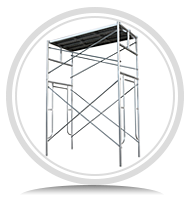 It has an adjustable height to allow for compensation on uneven levels, so that a level scaffold is always attainable. Any scaffold base should always be placed atop mudsills that are on proven solid ground. 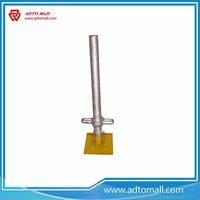 Standard Hollow Galvanized Screw Jack is usually used in Cuplock and Ringlock Scaffolding. 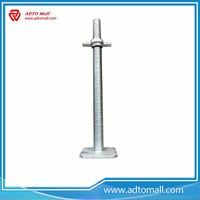 ADTO Mall offers various types of Scaffolding Screw Jack. 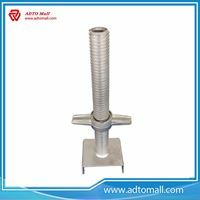 If your working on an uneven surface, or you just need to fine tune your tower's height, we will provide the scaffolding screw jack you need.